The WC DART Team will be celebrating the end of the 2015 Dart Season on Sunday, November 8, 2015 at Kavanagh’s Irish Pub, 1209 N. Mt. Juliet Rd. Mt Juliet TN. Family and Friends of WC DART are welcome to attend! Join the Team at 5pm for DART-Tales and 5:30pm for Dinner. In addition to the Regular menu, there are Gluten Free Choices as well as a selection of salads and fish. Please RSVP to wcdart@yahoo.com to reserve your seat at the table. 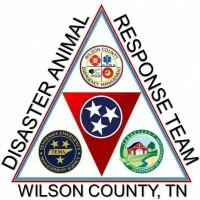 WC DART will be donating items for the Residents of Wheelwright KY. Their Christmas List: Nursing Home Residents : Shoes, flip flops, bird seed,coloring books/crayons, books, magazines, DVDs , small tv, warm clothing, sugar free candy and gum, games, clothing siz large and bigger, underwear, etc. For the Sent Hope Center: Antacids, lice kits, tea tree oil, shampoo and personal hygiene items, t.p., canned goods, non perishable foods, clothing, underwear, coats, gloves, bibles, books and school supplies, etc. These are some ideas, but if you have other items you want to give, they are acceptable as well. Please make sure the items donated are new or gently used and clean. WC DART -wear will be in and ready for pick up as well!